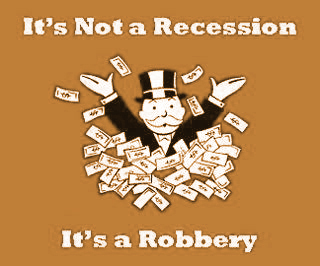 Monopoly is an expression employed by economists to refer to the situation in which there is a single seller of a product (i.e., a good or service) for which there are no close substitutes. The word is derived from the Greek words monos (meaning one) and polein (meaning to sell). Governmental policy with regard to monopolies (e.g., permitting, prohibiting or regulating them) can have major effects not only on specific businesses and industries but also on the economy and society as a whole. harm both economies and democratic governments (although they can be very beneficial for other types of governments). Unfortunately, the full extent of the damage is usually not as evident, at least to the general public, as are the seemingly beneficial effects. And monopolists often go to extreme lengths to disguise or conceal such harmful effects. There are various ways in which unfettered monopolies can harm an economy. Firstly, monopolies cause diminution of the quality of commodities. In fact, the company that has a monopoly will buy cheap primary materials to reduce the aggregate cost of the products. Secondly, monopolies cause a reduction in customer satisfaction. Because there is only one provider or producer, the customers have no choices and they are coerced to buy these products when they need it. Thirdly, monopolies cause increased prices. Because there is only one company that can provide or produce the product, the company can increase its prices to make the highest profit. Fourthly, monopolies may prove to be detriment for the employees of the company that has a monopoly. Actually, the company can decrease the salaries for its employees because it wants to reduce its total cost. For example, if we imagine only one private school in a specific country, the management of the school may give the teachers a small salary because teachers cannot switch jobs since there is only one school in the country. When competition works, the market economy functions well. Numerous sellers, vying for customers, must produce goods and services of sufficient quality and at acceptable prices or be driven from the field. But critics of the market economy focus not on its accomplishments but on situations where competition extinguishes itself or where private participants prevent market forces from operating freely. When competition fails, the government can either safeguard the consumer from market abuse by directly regulating the company exercising monopoly power, or it can restore the vitality of competition through antitrust enforcement that prevents competitors from conspiring to fix prices or individual firms from dominating markets. Contractual obligations not to engage in trade are illegal agreements on public policy grounds unless they are reasonable in the interests of both contracting parties and of the public at large. Restraint of trade mainly affects post-termination restrictive covenants in employment contracts, and restrictions on competition in contracts for the sale of businesses. There has, in fact, been a long history of governments attempting to deal with the abusive practices of monopolists. For example, in 1624, the English Parliament passed the Statute of Monopolies, which greatly restricted the king's right to create private monopolies in the domestic economy. However, this legislation did not apply to the monopoly powers granted to companies formed for overseas exploration and colonization. Antitrust laws have been introduced by various regimes to thwart monopolies and cartels from overwhelming the economy under a conviction that the economy functions at its optimum when competition among firms exist. The laws were set forth to protect consumers from being forced to overpay for products by large corporations preventing competition. 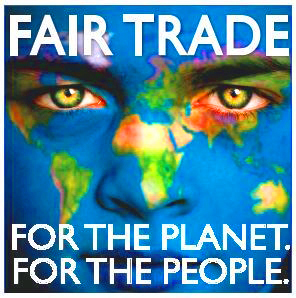 They limit abuses of economic power to preserve competition and protect consumers. EU Antitrust Laws: In the European Union, the celebrated Treaty of Rome contained the famous two Articles 85 and 86 which compose the competition law of the European Union and whose aim was that while the European markets were to be incorporated into a single economic market, this common market was to be clearly governed by ‘effective competition’. This was supplemented by the European Merger Regulation in 1989 that seeks to normalize concentrations (mergers, acquisitions etc.) that would radically impede “effective competition in the market”. In the United Kingdom, the Monopolies and Restrictive Trade Practices (Inquiry and Control) Act, enacted in 1948, was repealed and replaced comprehensively by a Competition Act, 1998 and finally by the Enterprise Act, 2002, which brought the UK law in rank with the more proficient regulations of the European Union. The European Competition Commission is considered as a model commission by most developing countries. 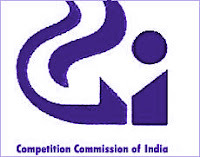 Indian Antitrust Laws: Antitrust law or Competition Law in India was a direct result of the Direct Principles of State Policy enshrined in the Indian Constitution, most particularly Articles 38 and 39 through which the state endeavours to secure a social order for the promotion of welfare of the people and certain principles of policy to be followed in this regard. They basically advocate equitable distribution of wealth and are opposed to its concentration in the hands of a few. In keeping with the spirit of these principles, the Monopolies and RestrictiveTrade Practices, 1969(MRTP Act) was enacted. It mainly stressed on the control of monopolies and the prohibition of monopolistic and restrictive trade practices. But this legislation proved to be too regressive in the modern day and age of liberalisation. Hence, the legislators felt that there was a need to reallocate priorities from curbing monopolies to promoting free competition. Hence after much deliberation with several trade and industry associations and with the general public and after studying various antitrust legislations effective in other parts of the world, the Central Government decided to enact the Competition Act, 2002. 4) mandate the Indian Competition Commission to undertake competition advocacy, awareness and training about competition issues. Section 3 of the Act prohibits anti-competitive agreements. It declares void any agreement by an enterprise or association of enterprises which restricts the production, supply, distribution, acquisition or control of goods or provision of services. It recognizes horizontal and vertical agreements as having potential of hampering competition in an economy. Horizontal agreements are agreements between those enterprises which are at the same stage of production, services, etc. It includes, any collusive agreement which directly or indirectly determines purchase or sale prices; limits or controls production, supply, markets, technical development, investment or provision of services; shares the market or source production or provision of services by way of allocation of geographical area of market, or type of goods or services, or number of customers in the market or in any other similar way directly or indirectly results in bid rigging or collusive bidding. Vertical agreements are agreements between those enterprises which are at the different stages of production, distribution, etc. It includes the tie-in arrangement, exclusive supply agreement, exclusive distribution agreement, refusal to deal, resale price maintenance etc. Section 4 of the Act prohibits abuse of dominant position by any enterprise. Such abuse of dominant position, inter alia, includes imposition, either directly or indirectly, of unfair or discriminatory purchase or selling prices or conditions, including predatory prices of goods or service, limiting market access, making the conclusion of contracts subject to acceptance by other parties of supplementary obligations and using dominant position in one market to enter into or protect other market. The term dominant position means a position of strength, enjoyed by an enterprise, in the relevant market in India. Such a position enables a firm to: - (i) operate independently of competitive forces prevailing in the relevant market; or (ii) affect its competitors or consumers or the relevant market in its favour. Sections 5 and 6 of the Act deals with regulation of combinations of enterprises and persons. The acquisition of one or more enterprises by one or more persons or acquiring of control or merger or amalgamation of enterprises under certain circumstances exceeds the threshold limits in terms of assets or turnover as specified in the Act shall be construed as combination. It also, inter alia, provides that no person or enterprise shall enter into a combination which is likely to cause or causes an appreciable adverse effect on competition within the relevant market in India. A recent high profile case with regard to infringement of antitrust laws is United States v. Microsoft. After a series of trials and hearings followed by testimonials of various high-powered executives and witnesses, on the 5th of November 1999, District Court Judge Thomas Penfield Jackson found that Microsoft Corporation used its monopoly position in the operating system market to unfairly mute competition in other technology markets, including the Internet Browser market. Every user of Microsoft Windows operating system had a copy of Internet Explorer since they were sold together as part of the same package. This proved to be a detriment for competing web browsers who were unable to sell their software in the market due to the existence of an essentially free product available in default with the Windows operating system. Judge Jackson in his findings of fact stated that Microsoft's dominance of the personal computer operating systems market constituted a monopoly, and that Microsoft had taken actions to crush threats to the monopoly, including Apple, Java, Netscape, Lotus Notes, Real Networks, Linux, and others. Today over 90 countries have a new competition law and a new competition authority. These antitrust laws facilitate markets to direct resources to the uses that will best satisfy consumers with minimum intrusion by the government. When competition, the engine of free enterprise, has been throttled by public or private action, the long arm of government antitrust enforcement must replace the invisible hand of the market as the regulator of dealings among businesses and between businesses and consumers. The several laws and court decisions the authors describe contain the rules of the competitive game in which commercial enterprises are the players, courts are the referees, and consumers are the beneficiaries—if the rules are observed and the contest hard-fought. "Antitrust laws in general, and the Sherman Act in particular, are the Magna Carta of free enterprise. They are as important to the preservation of economic freedom and our free-enterprise system as the Bill of Rights is to the protection of our fundamental personal freedoms. And the freedom guaranteed each and every business, no matter how small, is the freedom to compete--to assert with vigor, imagination, devotion, and ingenuity whatever economic muscle it can muster." Paul Rand Dixon, Pres Kennedy's FTC Chairman, referred to US antitrust laws as the Magna Carta of capitalism, because he believed these laws guaranteed monetary and as well as individual freedom. 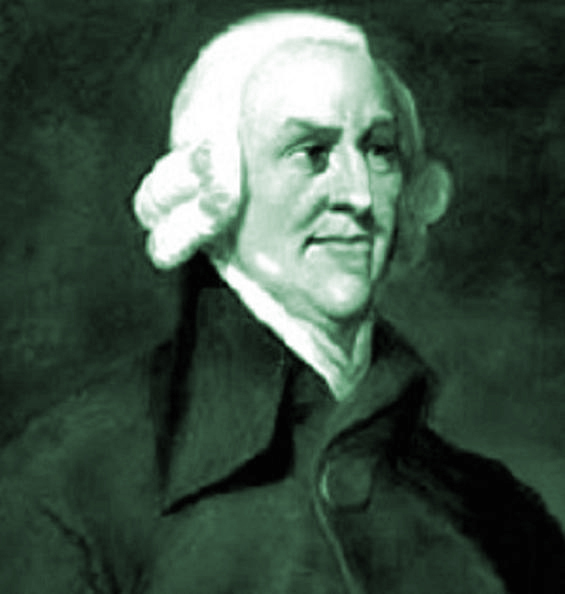 He saw antitrust law as a complement to laissez-faire entrepreneurship and the teachings of Adam Smith. According to Dixon, Marx saw only the dormant gluttony in capitalism, but failed to see capitalist societies, such as the US, could help themselves by enacting laws to prevent monopolies. Dixon believed fair competition and antitrust law would promote economic efficiency and fair prices, thereby benefiting society. Stating the purposes of the antitrust laws is, astoundingly, no mean feat. The language of the statutes, the history of their enactment, and their subsequent interpretation by courts and commentators provide several major themes but no unanimity. In order to know and apply antitrust laws, one must learn not only to think like a lawyer, but to think like an economist and a businessman as well. Monopolists often tolerate a token amount of competition in order to attempt to convince the public and regulatory authorities that they are not really monopolists and thus to discourage the enforcement of antitrust laws. Adam Smith wrote of the “wretched spirit of monopoly” in which “the oppression of the poor must establish the monopoly of the rich”. These practices can completely reverse the profit from competition. Thus there is a need for a piece of competition legislation, to regulate such behaviour when it takes place. It is for this raison d'être that, while nations across the globe are progressively embracing market economy, they are also strengthening their economies through enactment of competition law and setting up competition regulatory authorities. Unfortunately, the extent of implementation of antitrust legislation has varied wildly, even within individual countries (or with regard to individual companies), and it has recurrently been based more on political deliberations than on economic merit. This is, of course, due to the immense difficulty of governments to take effective action against even the most abusive of monopolies because of the uncanny political manipulations that monopolists tend to acquire and the fact that the adverse effects of monopolies are often less obvious to the public and to politicians than are the supposed beneficial effects. 1. Why and How Monopolies Impede Technological Advance - The Linux Information Project, June 12, 2006. Nice article for a basic understanding of competition law.